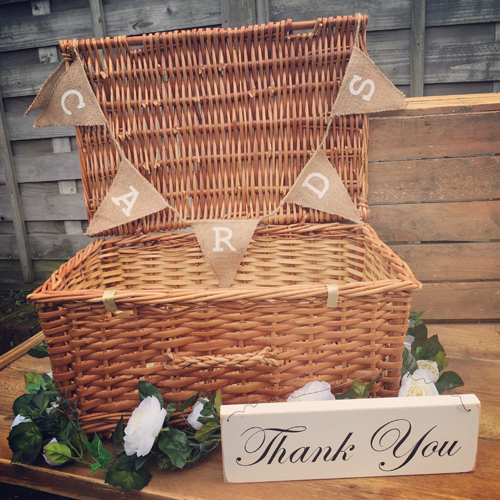 Wicker basket with hessian cards bunting included. 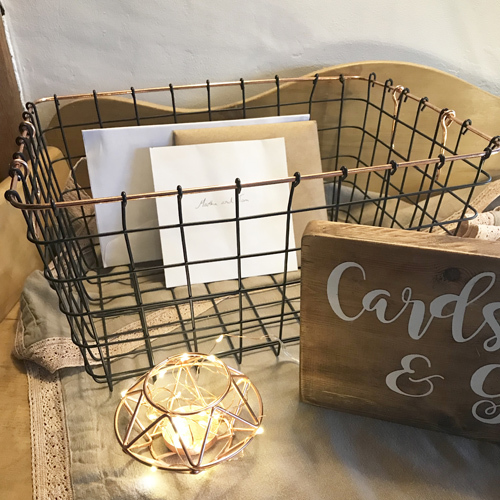 Basket for cards with copper trim and handles. 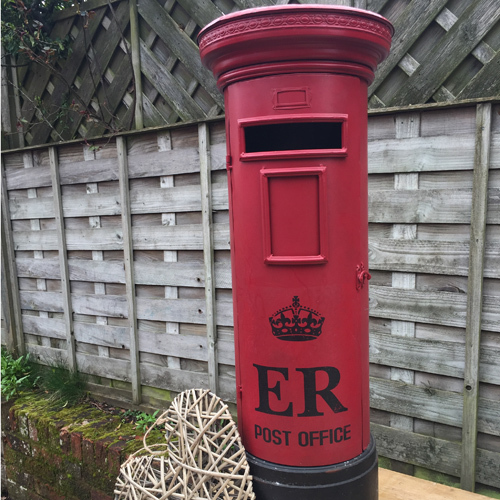 Red metal royal mail style postbox. 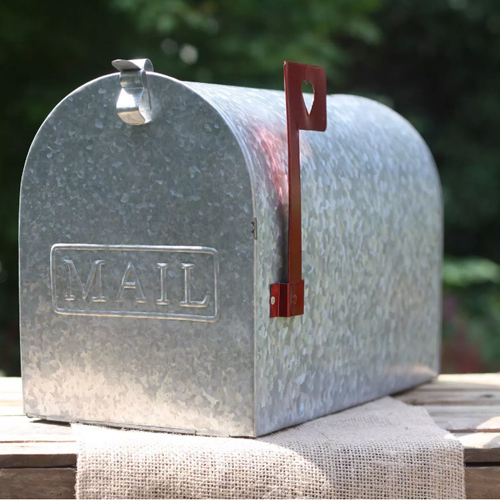 Metal American style mailbox with pull down front door.